In retrospect, it’s hard to imagine an era where people hadn’t heard of The Avengers. The superhero team, comprising of a ragtag bunch of B-string heroes was a staple of Marvel Comics throughout the bulk of its run. But decades passed by without so much as a mention of a live-action adaptation. That is, until Marvel Studios President and self-professed, certified geek Kevin Feige thought up the impossible: bringing the comic book model to movies, thereby making films truly mirror the comics of the 60s that he (and countless others) grew up with. Feige’s approach to the team-up was remarkably different than any prior attempts. Unlike the X-Men or the Fantastic Four which operate as a team at the outset, Marvel Studios wanted to show the Avengers being formulated as a response team. Instead of starting out with the team together then, The Avengers had a classic slow build-up that’s generally the domain of disaster movies like Independence Day. The plan thus involved producing and releasing movies about these individual superheroes, all multi-million big-budget productions with their own lores, stories and characters and then bring them all together for a cinematic mashup of epic proportions. A crossover, but in the grandest sense possible. The end result then is that The Avengers became an experiment even in Hollywood. The shared universe model of filmmaking that The Avengers stood for made caught everyone off-guard, made an industry like Hollywood sit up, take notice and be surprised by the ballsiness and audacity of a studio that was established as late as 2006. Sure there have been countless sequels, prequels and perhaps the occassional merging of franchises (Alien vs Predator). But a crossover of this length is something even the usually uninhibited Hollywood had stayed away from. And yet here it was, in 2012, close to happening. The world was watching with prying eyes what this new “independent” studio was up to. 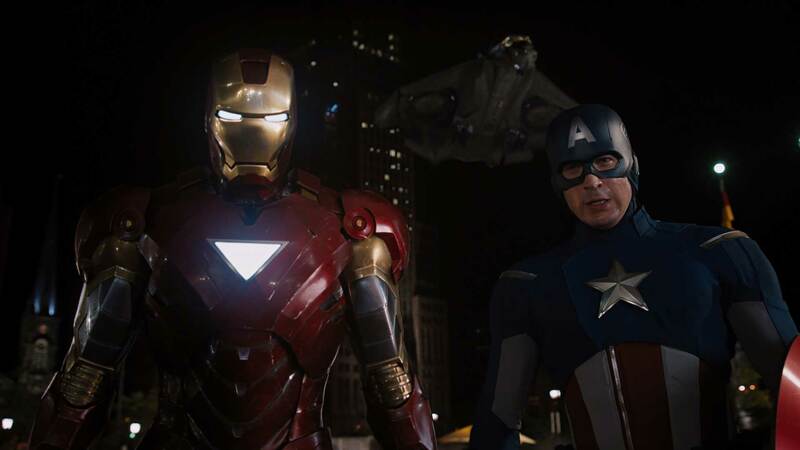 Even before The Avengers hit the screens though, there was intense scrutiny around the project’s development. A lot of eyes rolled when the studio hired Joss Whedon to tackle what would then be Marvel’s biggest production to date. Whedon, then known mostly for his work on TV Shows like Firefly and Buffy The Vampire Slayer was relatively new to film. To be entrusted with this massive opportunity is something he didn’t take likely. He stuck to Marvel’s mandate of maintaining their preferred story outline and a villain of the studio’s choice, weaving a script around those constraints that shined in character work and exchanges. And despite those constraints, he was able to deliver a film that works on its own merit. The Avengers was the most important film for the Marvel Cinematic Universe, primarily because it was the de-facto payoff that they were planning and building towards. The entire foundation of Marvel Studios was creating a shared reality where all movies are set in the same universe, with the possibility of plot threads in one being referenced in another. Nowhere was this more evident than The Avengers which brought these disparate worlds together. Had The Avengers failed at the box-office, it would’ve meant the failure of Marvel’s model of filmmaking and we probably could’ve gotten a very different version of the MCU going ahead. It’s success solidified the MCU’s status as the defining franchise of this generation, and had ripples that would shake up Hollywood to the core. The Avengers was also important to filmmaking in a general sense. It was a different kind of film, one gigantic crossover bridging together multiple films to forge a singular narrative out of them. Such was its impact that many studios rushed to create shared cinematic universes of their own. Attempts like The Mummy and its Dark Universe or Legendary’s MonsterVerse or the more recent and most well-known of these attempts, the rival DC-Comics based DCEU were born out of some inspiration taken from The Avengers. Not all of those were successful, and those that were definitely didn’t reached the heights attained by Marvel. Yet, it inspired studios to embrace the shared universe model and create movies planned years in advance to cross over into an ultimate team-up. What everyone failed to realize of course is that The Avengers was a rather good, dare I say brilliant movie in its own right. It didn’t just work because of the team-up aspect; it worked because it did the team-up really, really well. Whedon’s writing brought a flair to characters that crystallized their attributes and played out their faults and strengths to a delight. Not one character feels out of place, and not one character feels concocted or derived or ends up acting or doing something for the sake of the movie. Steve Rogers, Tony Stark, Bruce Banner, Thor Odinson, Clint Barton and Natasha Romanoff lead the pack and their quip-induced banter is the stuff of legends. Hell, even Samuel L. Jackson’s Nick Fury, one of the generally sidelined characters thus far gets quite a lot to accomplish, coming across as the true badass he was meant to be. Whedon’s sharp dialogue is layered, sprinkled and peppered with lots of information, presents different ways and fresh perspectives of looking at the characters’ existing lives, situations and superpowers and has enough richness to be rewatched and reexamined for the hidden secrets it’ll uncover. The movie’s technical prowess only compliments the fine writing. Visuals flourish with an undersaturated look that makes the frames stand out compared to the troves of sepia-toned blockbusters (the sequel would strangely ignore this aspect). The choice of a 1.85:1 aspect ratio over a 2.35: 1 is one of its kind for such big-budget filmmaking while also making it one out of only two MCU movies designed solely for that ratio thus far; it helps convey the varying heights of the superheroes which was the reason that spurred Whedon and cinematographer Seamus McGarvey to go for it in the first place. The effects look even more seamless with the natural subtle color grading (honestly, Hulk has never looked better) and the movie is judiciously edited to keep it at a length that gives us plenty to chew on, without making it feel overlong or drawn out. Of course The Avengers had one other important contribution to the MCU thanks to its composer Alan Silvestri. It gave the movie, the franchise and the team in particular a rousing theme that stayed with everyone after the credits rolled. So iconic was the score and so memorable was the theme that it went right up there with greats like John Williams’ Superman theme or Danny Elfman’s Batman theme. It’s the one consistent piece of music that stayed with the MCU all these years and informed a lot of aural cues and choices in subsequent MCU movies. The Avengers was a smash success, breaking numerous records upon release. It scored the best opening weekend almost equalling its production budget ($207 million), became the fastest movie to cross $500 million worldwide as well as domestically, and ended its box-office run with $623 million from the US and $1.6 billion worldwide. It rested as the third highest grossing movie, the highest grossing superhero movie and the highest grossing movie excluding James Cameron’s films. History had been made. Its success was envied by other studios; fortunately Marvel Studios took it humbly as a sign that the comic model could work for filmmaking, kicking open the door to try out new things. Immediately, one of these new things would come into play in a post-credits scene of The Avengers. A Mad Titan turns to the camera and smiles upon being told of the existence of the Avengers. This would set up an immensely long-term game, one that would take almost 7 years to play off to its entirety. It’s what this series has been leading up to as well. In this Appocalypse weekly series titled The Road to Avengers: Endgame, we take a look at all the Marvel Cinematic Universe movies leading up to the release of Avengers: Endgame with a specific focus on the importance of the movies in the MCU pantheon. These pieces may be laden with spoilers so read carefully.